Dr. Quyen Tran grew up in Palm Bay, Florida and graduated of the University of South Florida with a degree Bachelor of Science degree. He received his Doctor of Optometry degree from the College of Optometry, Nova Southeastern University. 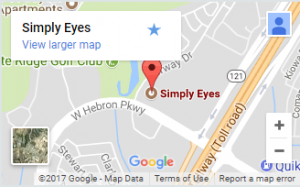 He is a member of the Texas Optometry Association and the American Optometry Association. Dr. Tran has been in practice for over 20 years and has a special interest in allergy and dry eye management, contact lenses and LASIK co-management. In his spare time, exercising and spending time with his family. He also enjoys olympic taekwondo, traveling and with his wife, Christine, supporting his sons, Austin and Aaron, in national and international competitions. 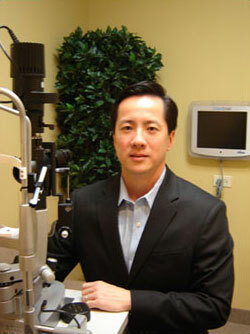 Dr. Tran believes that knowledge is key in understanding and caring for your eyes. He tries to be as thorough in addressing and answering his patient’s questions and concerns. He welcomes new and existing patients to his full scope practice. Dr. Tran speaks fluent Vietnamese.